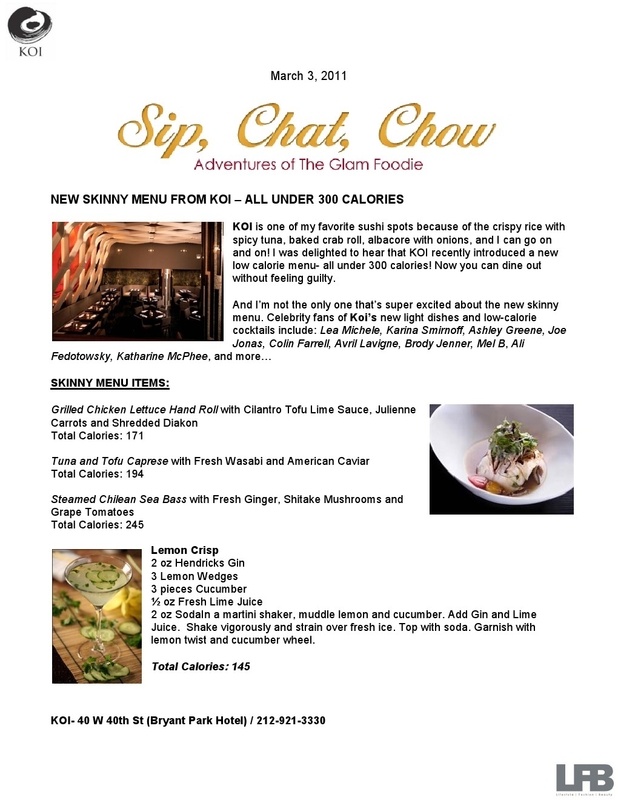 I just found aout about Koi’s new Skinny Menu! How exciting! 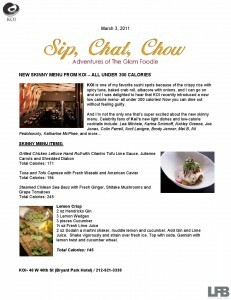 All of these items have under 300 Calories, so you can even order two for a nice, delicious meal without the guilt! I would go for the Steamed Chilean Bass followed by the Grilled Chicken Lettuce Hand Roll, YUM! For an underwhelming calorie total of 416 calories, you seriously cant go wrong! And knowing that Nick Haque doesn’t put anything on his menu that isnt delicious makes this all the more an absolute must to try out.